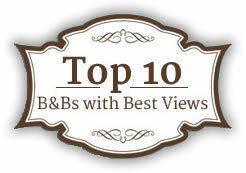 “Best Kept Secrets” and “Most Romantic Views” in Seattle Await – and convenient location! Just 8 minutes to Sea Tac International airport. Escape from reality and treat yourself to a luxurious vacation of rest and relaxation at this Destination retreat, Olympic View Cottage, located in the beautiful Puget Sound in Washington State. This idyllic private cottage offers complete privacy and a breathtaking panoramic views of the Puget Sound and Olympic Mountains from every room. Rejuvenate your soul as you soak in the private outdoor Jacuzzi hot tub and take in a glorious sunset. Nestled on a quiet hillside surrounded by spectacular views overlooking the Puget Sound waterways, your lodging also features incredible views of the snow-capped Olympic Mountain range and breathtaking sunsets. You are the only guest at Olympic View Cottage where you will find amazing views, your own personal outdoor jacuzzi hot tub, and amenities that rival any area hotels, with the unique comfort and privacy all to yourself. This true Northwest retreat offers a peaceful ambiance that offers you all the comforts of home. Enjoy a fully equipped kitchen, a spacious and bright living and dining area, comfortable pillow-top king-size bed, private bath, hardwood floors, Laundry facilities, complimentary Wi-Fi and parking… even sumptuous bathrobes. The outdoor barbecue is perfect for preparing your own dinner of fresh local ingredients. Sip on a glass of your favorite wine outside on the private deck surrounded by blossoming plants and flowers, and enjoy the soothing sound of the waterfall cascading into the koi pond. Located just one block off the water in a quiet, scenic neighborhood, you can enjoy a variety of activities including beach walks, the famous Indian trail, and day trips to the ocean or mountains. With its beauty and tranquility, it might be hard to believe that your perfect getaway option is also convenient to downtown Seattle and 8 minutes to Sea Tac International Airport, and all major interstates make access easy. Neighborhood restaurants and bars, movie theaters, the famous Pike Place Market, and unique boutiques and grocery stores are just minutes away. Seattle’s cruise ship terminal is 15 minutes away. And enjoy Seattle’s sporting events, Mariners baseball, Seahawks football, Sounders soccer, and Seattle Storm basketball. Take Sound Transit Light Rail located just 10 minutes away. Our cottage is fully functional. Cottage Rate includes: Full use of the entire private guest cottage and private Jacuzzi Hot Tub, King size bed, Free Wi Fi, NETFLIX movies, Kitchen fully stocked with all the cooking necessities you need, a Gas BBQ on your own private deck, private covered parking, Laundry facilities, and so much more. Refer to our Amenities and Rates page for more. Featured in the “Best Places to Kiss in the Northwest,” Olympic View Cottage has it all. We guarantee your stay will be one to remember for years to come. Whether you are looking for a romantic honeymoon escape, vacation rental, or a laid-back vacation destination, Olympic View Cottage is the perfect choice! There is so much to do and see in the Pacific Northwest. Some of our guests favorite day trips include the Ballard Locks, exploring Mt. Rainier and Mount St. Helen’s, and the Olympic National Park. If you are planning a cruise and want to explore Seattle before or after your voyage Seattle’s cruise ship terminals is 15 to 30 minutes from our cottage. Seahurst Park Beach is 5 minutes away. Always beautiful anytime of the year. Stroll through 182 acres of spectacular beauty on this Puget Sound Beach. Lush forest with beautiful trails and creeks. Picnic shelters and Olympic Mountain views await you. Enjoy the beach or hike in the trails. Check out our amazing photos on Instagram. Enjoy the beautiful sunsets in the Jacuzzi hot tub anytime of the day or night. We also have many great recommendations of “Must See Activities” to make the most of your stay. Just ask us and we would be happy to give you suggestions. Read our Reviews! Enjoy beach walks and jogs in a very safe neighborhood. Three Tree Point Beach is 2 minutes away. Seahurst Beach is 5 minutes away. Enjoy our local restaurants and bars in Olde Burien only 2 minutes away. You do not have to deal with the downtown traffic, and the parking is free! We look forward to meeting you in 2018.